Cut the cords - introducing the Boom! Audio 30k wireless headsets. 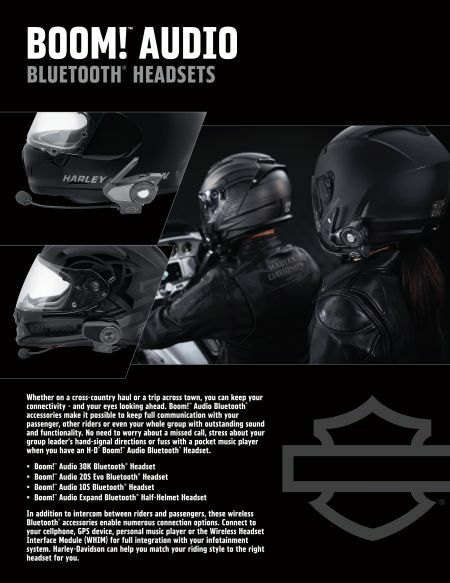 The 30k offers an exceptional integrated experience when paired to your bike's Boom!™ Box infotainment system via the Wireless Headset Interface Module (WHIM), sold separately. Gold Bar & Shield Award Winners! 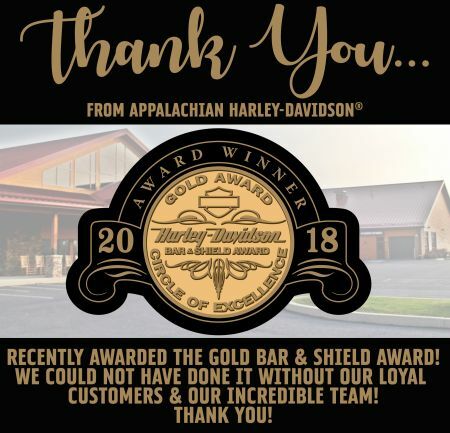 Appalachian Harley-Davidson has brought the Gold Bar & Shield Award home to you, our faithful customers! 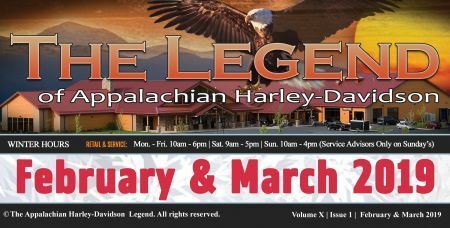 Check out the February and March 2019 Newsletter. 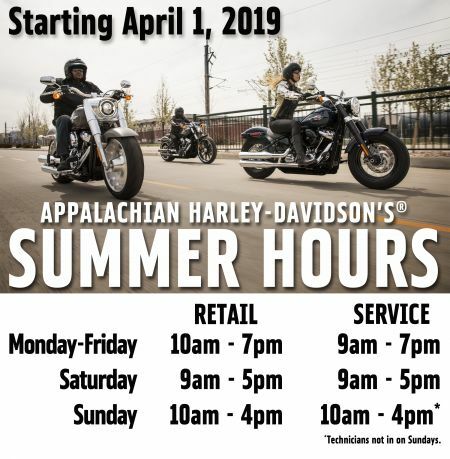 It's been over 16 years since Butch (Bryan Perry) had the thought from the saddle of his iconic black 1999 Fat Boy®, "How do I get more people to experience this same feeling?" Personal Freedom!